Please join us in celebrating the 2nd Annual Shoreline Starlight where darkness becomes the canvas for a beautiful nightscape of twinkling stars. We love New England for many reasons; one of them being this fabulous shoreline community that surrounds us. Last November, with your help, the Old Saybrook Chamber of Commerce launched “Shoreline Starlight”, an event to brighten the night sky and unite our shoreline community. We made and donated over 50 stars. Now that the sun is setting at 4:30, it’s time to illuminate your stars again! 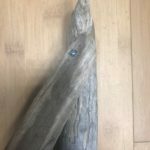 If you don’t have a driftwood star, you can pick one up at the Old Saybrook Chamber office the week of November 26 – 30, while they last! Or you can make one of your own; please see the directions below. This project is fun for all ages! We’re hoping you are planning on supporting your local merchants on Small Business Saturday, November 24th. If so, you can pick up a star at Total Design Source located at 180 Main Street, Old Saybrook, CT between 9:30am and 3:00pm. We would love you to share this event with your friends and family. This is such a simple way to make our shoreline festive all winter long. 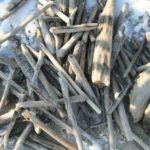 Step 1 – Collect similar sized pieces of driftwood gathered along the shoreline. 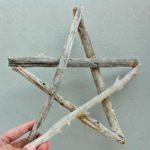 Step 2 – Layout driftwood using similar sizes pieces in the shape of a star. Step 3 – Predrill holes at the points of the star and fasten with screws. 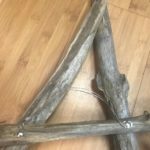 An alternative to using screws; wrap the driftwood pieces together using twine. 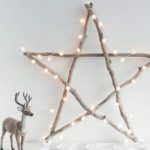 Step 4 – To hand the driftwood star, use screws and picture wire along driftwood parallel to the floor. To stand the star, attach another piece of driftwood in the center to create a post to insert into the ground. Step 5 – Once assembled, string white holiday lights around the star.